Discussion in 'iPhone and iPad Games' started by DevSam, Oct 27, 2016. 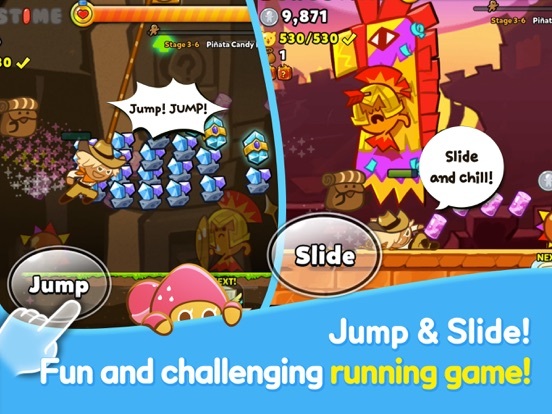 Some of you might remember the original OvenBreak we've released in 2009, which became one of the early hits on the App Store - this is its spiritual successor! I'm a little late to the party, but I'm surprised there hasn't been more conversation about this game. It's a very polished competitive runner with loads of content to unlock. It doesn't have many levels, but the point is to gain expertise at each one and learn the courses well so you can get farther and farther on each run. Each time you play, you're matched with nine people around your same level and see who can score the highest. 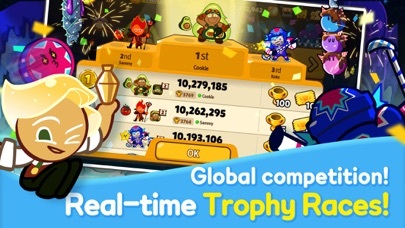 It's not real-time multiplayer, but there is a timed window to put up your best score, usually around 10-15 minutes. 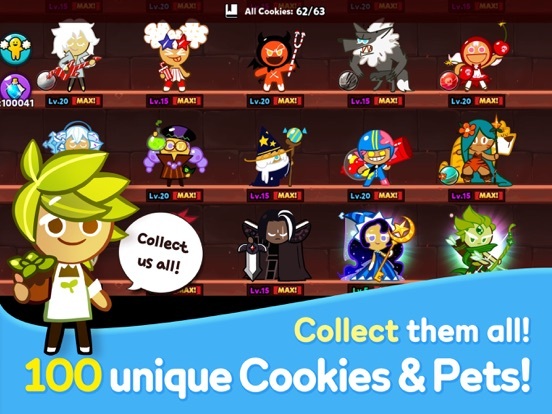 My favorite part is trying different loadouts of cookies and pets to find the combination that will get me the highest score. 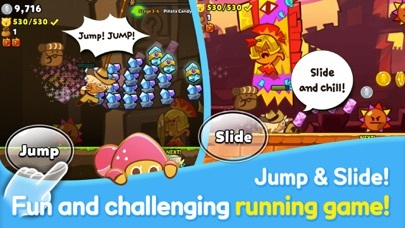 Each cookie and pet has different powers--some will let you extend your run, while others will award bonus points for certain things. And if you pair up the right cookie and pet, you get an additional synergy effect. As the previous poster said, there's no solid pay wall. 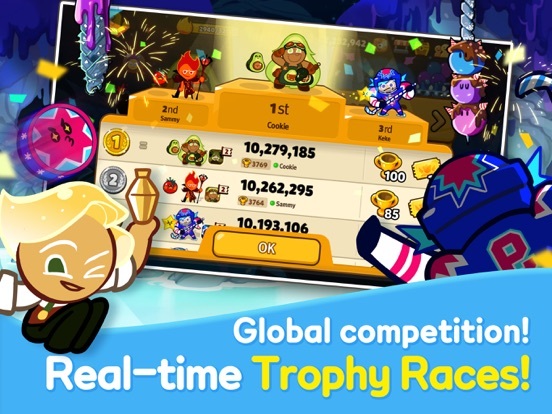 But in later worlds, it will become harder and harder to put up competitive scores unless you either buy IAP or grind yourself silly. That said, I've put in many fun hours of play, and I'm just now starting to feel that pressure. The vendor also gives out occasional freebies to celebrate a holiday or milestone. 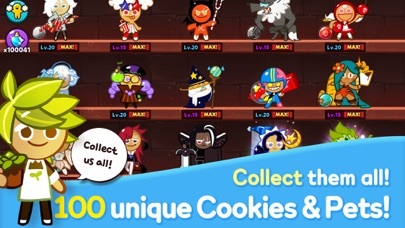 We would just like to let you know that we just released the Season 2 of our game Cookie Run: OvenBreak! 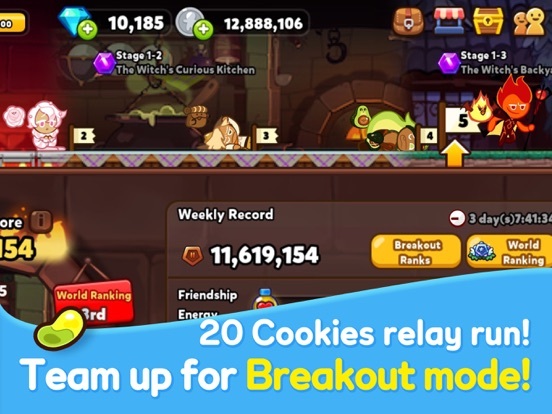 In this new update, you'll discover a brand new 'Breakout' game mode where you assemble a team of up to 20 Cookies and Pets to get ever further in a massive world with 24 stages! This update is all about making the game just as engaging as a single player experience as multiplayer, so even if the races against other players weren't your thing, this might be worth another look! 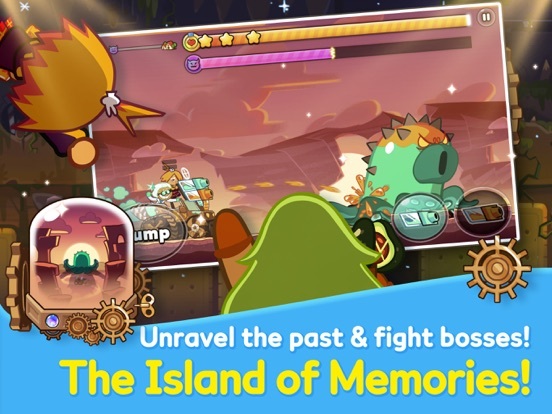 Also added since the original post is the Island of Memories, which features more than 100 tightly designed challenges and innovative boss fights. I cannot believe no one here is talking about this game. I'm ready for season 2. The developer worked hard on this one and it shows in every aspect. The app is now unplayable! 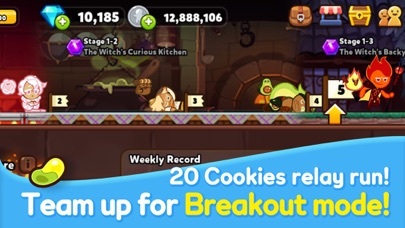 When I open the app a cookie is telling me about the new Breakout mode but at the end of the tutorial the buttons don't respond and I'm stuck on the tutorial screen. No way to exit. If I close the app and try again the same process repeats, always stuck in the Breakout tutorial. Is there a fix coming soon? Sorry to hear about that. We have fixed a few issues that caused some players to get stuck in the tutorial. It may take a few days though, since the update still needs to go through store approval. The patch went up yesterday, so unless you already got help through customer service, the problem should be fixed once you update the game! I'm not sure if anyone else besides the four commenters in this thread have played Cookie Run, but I've become horribly addicted this past week. 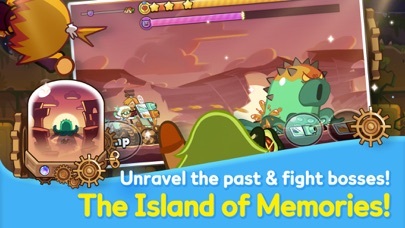 I was in the Google Play store, and they had a category of games made in South Korea (Olympics and all that), and all of them were games I would never play... except this one. Then I saw Devsisters, which is who did the phenomenal Solitaire: Decked Out, and I couldn't download fast enough. I have lost at least 10 hours to this game in the past week, but it's super satisfying. Tons of Gatchas, but progress doesn't feel gated at all. Really well designed, super bright and cheerful, just great all around.